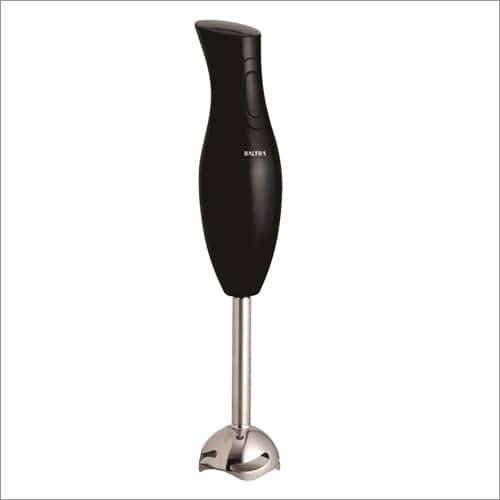 Hand Blender is highly demanded in various restaurants, hotels and residential places for blending of integrates and other food materials. These blenders are designed by using latest technologies with the help of advance tools as per the predefined quality norms. Our offered blender is checked by our quality experts on different quality aspects before delivering to our esteemed customer ends. Our offered Hand Blender is highly praised for their easy operations, low maintenance and able to bear huge pressure. Multi function stainless steel blade with s.s blending rod, Overheat Protection, Ergonomic Design for easy cleaning.